Drag, drop and create with Looptone’s instantly gratifying, ridiculously catchy collection of earworms – the brightest, most memorable melodic sequences and in-your-face riffs for creating next-level tracks in all electronic genres. Speaker Freakin Leads & Riffs is a roller-coaster ride of unapologetically anthemic synth lines, blissfully uplifting arpeggios, rousing melodic structures, provocative pianos and manipulated vocal melodies, topped off with a clutch of gnarly bass bouncers for good measure. All excess fat has been trimmed off every sound, leaving only the direct, defined ideas at their core, primed for customisation and embellishment via your own effects treatments and edits. Totalling 341MB of key-tagged audio loops, one-shots and MIDI files, the pack comprises an expansive combination of phrases and sounds, ranging from straight-up face-fillers to more abstract noises. Styles covered include fat main room unison electro riffs; thugged-out street trap-style leads; lo-fi grime ideas; warm deep house organs; punchy old-school, tech-inspired stabs; manipulated vocals; anthemic chord sequences; and stunningly evocative piano riffs. 34 of the more complex patterns are also presented in MIDI file form, for experimentation with your own synths. In full, this royalty-free library contains 341MB of content, captured in pristine 24-bit stereo WAV format. 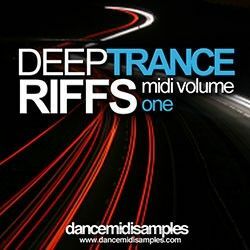 All samples are key-labelled for ease of use and looped at three tempos: 100, 125 and 140bpm. Speaker Freakin Leads & Riffs’ 185 audio files are made up of the following:109 synth lead and riff loops (dirty synth leads, pads, ambience and abstracted melodies), 30 Vocal manipulated lead riffs, 15 Piano chord Sequences, 15 Bass lead loops, 16 one shot synths and 34 MIDI files.